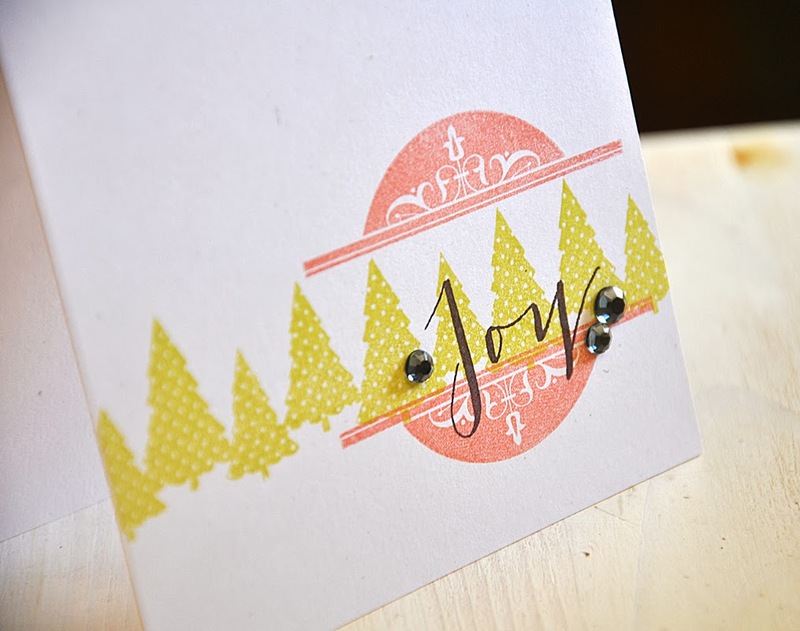 Boutique Borders: Thinking of You by Dawn McVey, Background Basics: Evergreens by Melissa Bickford and 'Tis the Season Sentiments by Me. Packed a lot of new goodies onto this simple one layer card. 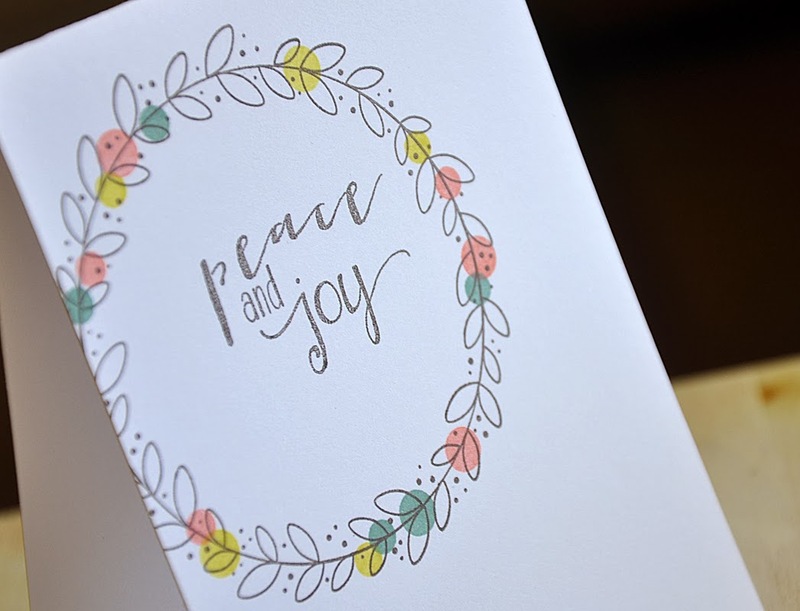 These images and color combo make for a sweet and simple card. 2013 Holiday Tags by Dawn McVey and Tag Sale #8 Die by Lizzie Jones. This tag stamp set and tag sale die were a match made in heaven. Love! 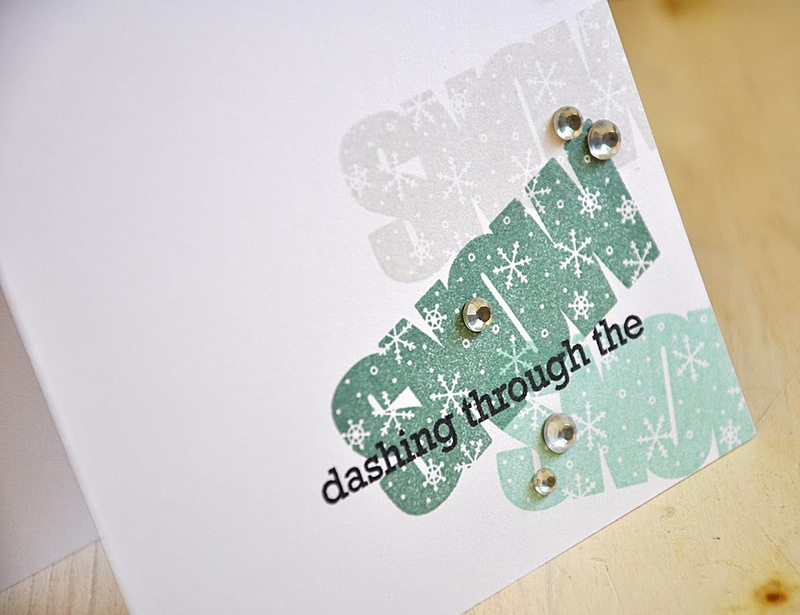 Added a touch of color to the snowflake using an aqua and green Copic marker. 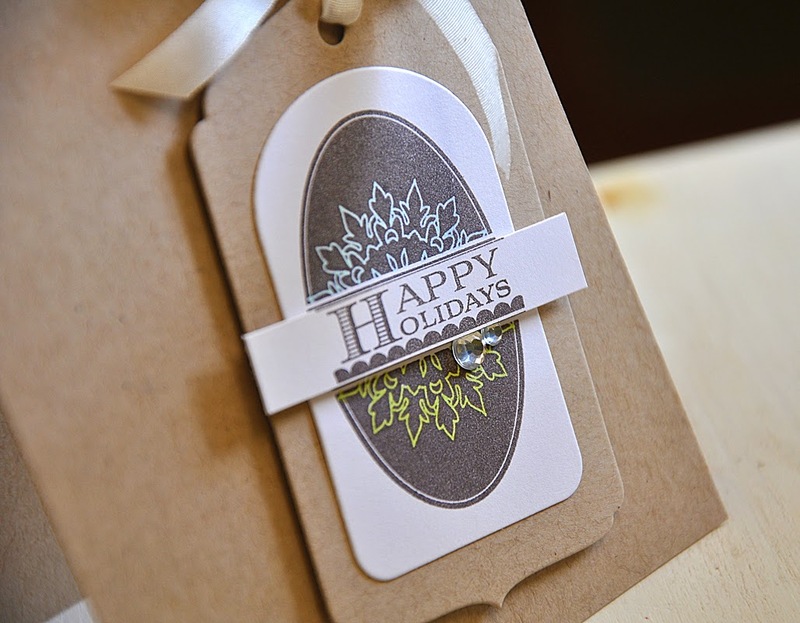 Rustic Wreath by Heather Nichols and 'Tis the Season Sentiments by Me. Thinking this is my favorite card of mine created for this months release. Simple, cute and colorful. Polka Dot Parade #9 by Melissa Bickford and 'Tis the Season Sentiments by Me. For a bit of shimmer, I've added a touch of POW gold glitter paper between the layers of the tree. For added dimension, I've attached each layer with a combination of foam adhesive and flat adhesive. Wonderful Words: Snow by Heather Nichols. Snow, snow, snow... makes me think of the holiday movie classic White Christmas. Well, that's all of them! These are all so stunning Maile! Love the CAS style. Your script is so much fun! Goes with your sassy sweet style! Love your examples, but fav is that die cut tree, and how you glittered a few of the layers. Brilliant! 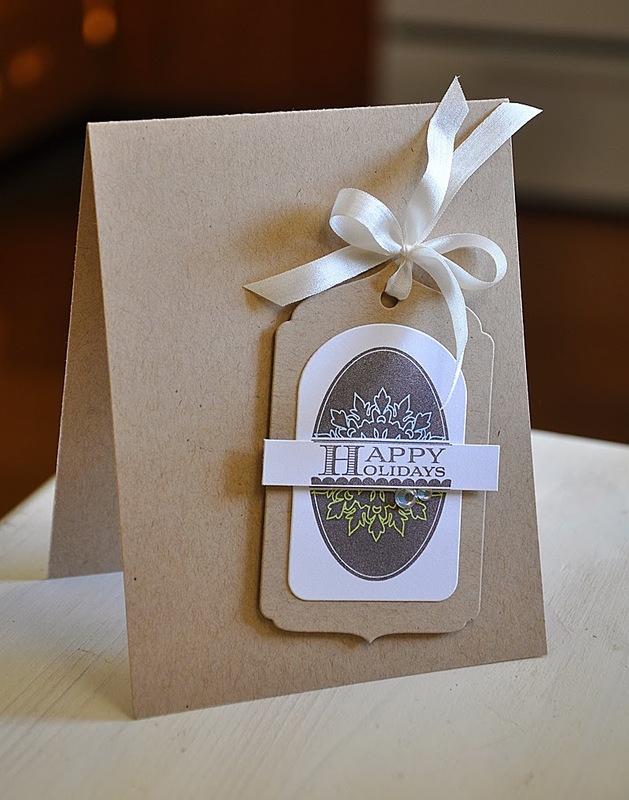 Just love your clean and simple (and beautiful) cards Maile! So pretty love the CAS Style you have. 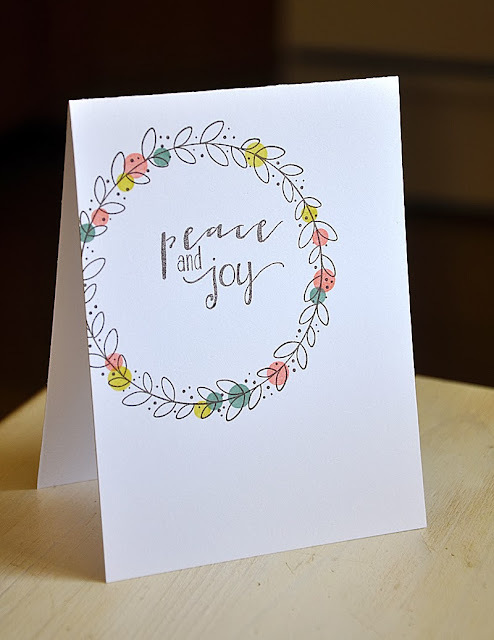 i love the simplicity of your peace & joy wreath card. love the little splotches of color! I love your style. 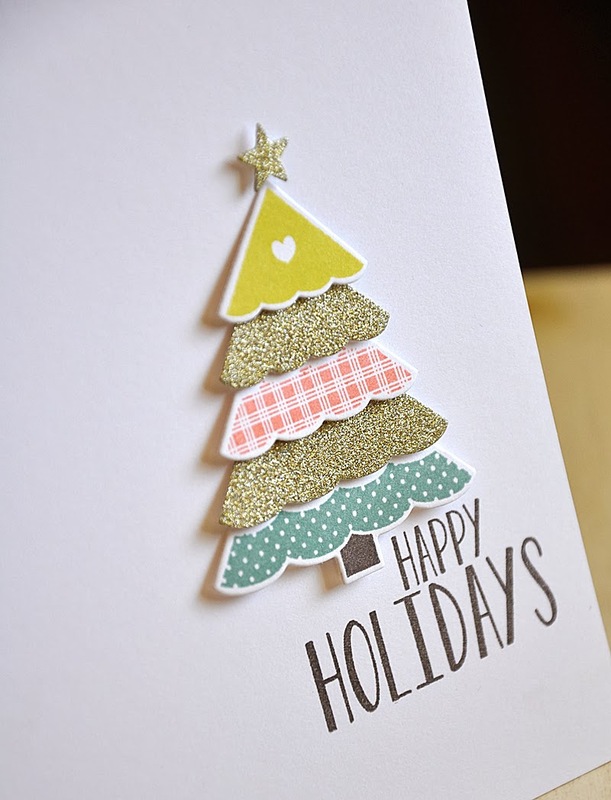 Each and every card is just amazing! 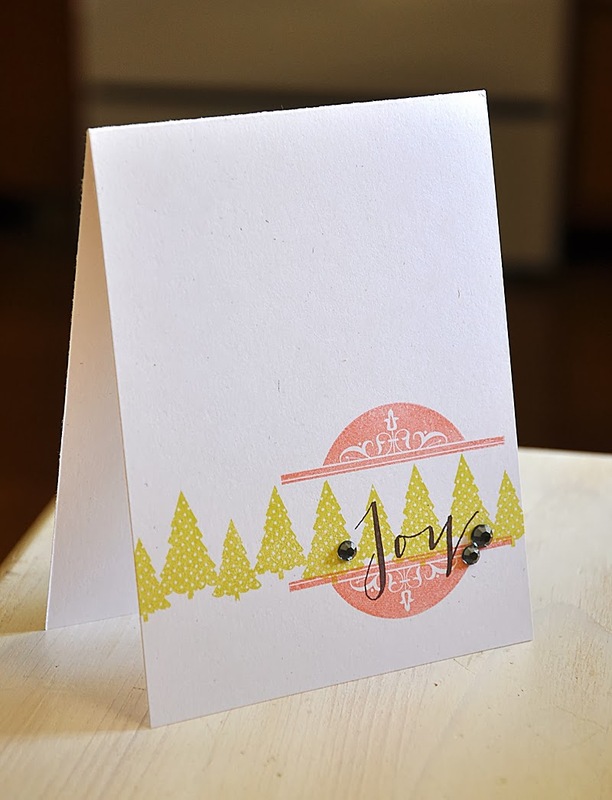 but OH MY I just adore the joy card. 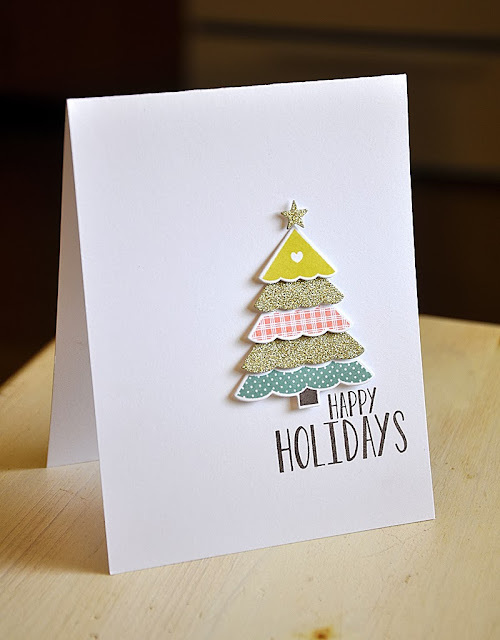 I would have have thought to put those three stamps together.....thanks so much for the inspiration!